Bosque’s Animal Injustice Prevention Society (AIPS) teamed up with Animal Protection Voters (APV) and Animal Protection of New Mexico (APNM) for a press conference at the Roundhouse in Santa Fe last week to advocate for animals and learn more about the lobbying process. 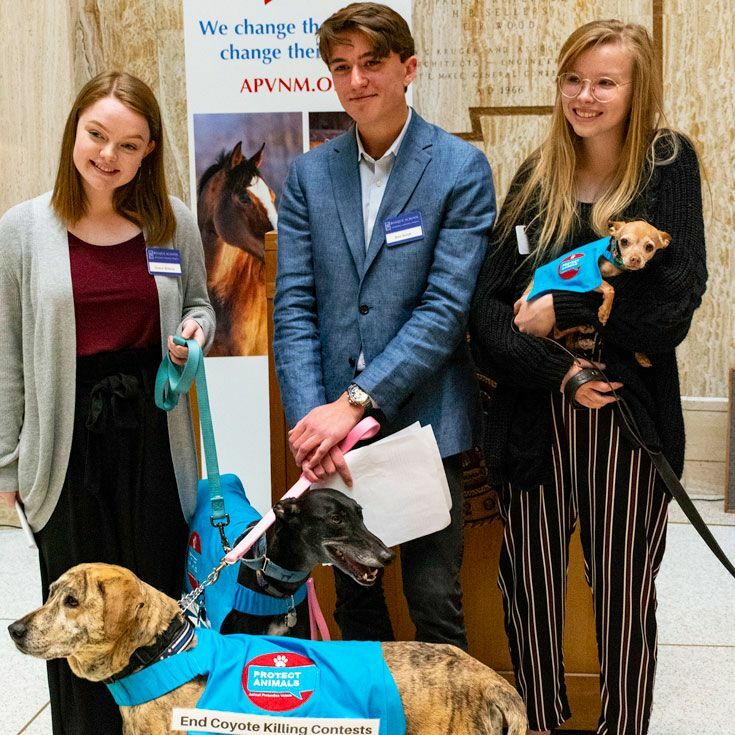 Several students, Alyssa '20, Ben '21, and Grace '21, were invited to speak on the importance of banning tarps, poisons, and snares on public lands. See the YouTube video HERE. The press conference was held as part of Santa Fe’s Animal Rights Day. AIPS students received their initial introduction to advocacy and the three legislative issues focused on in this session during its October 5th Project SERVE day. 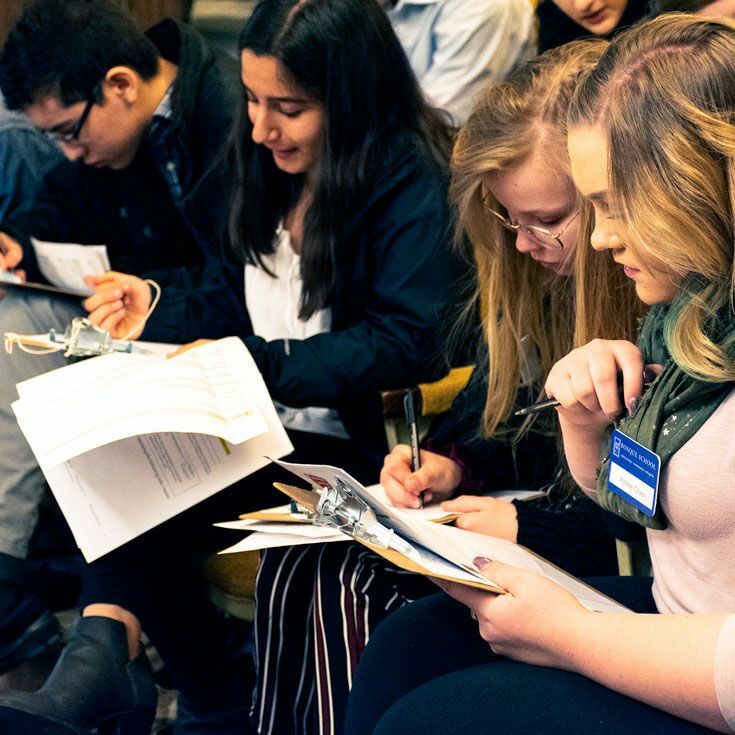 Animal Protection of NM and Animal Protection Voters delivered a two-hour workshop, which provided the foundation for the students’ participation at last week's press conference. 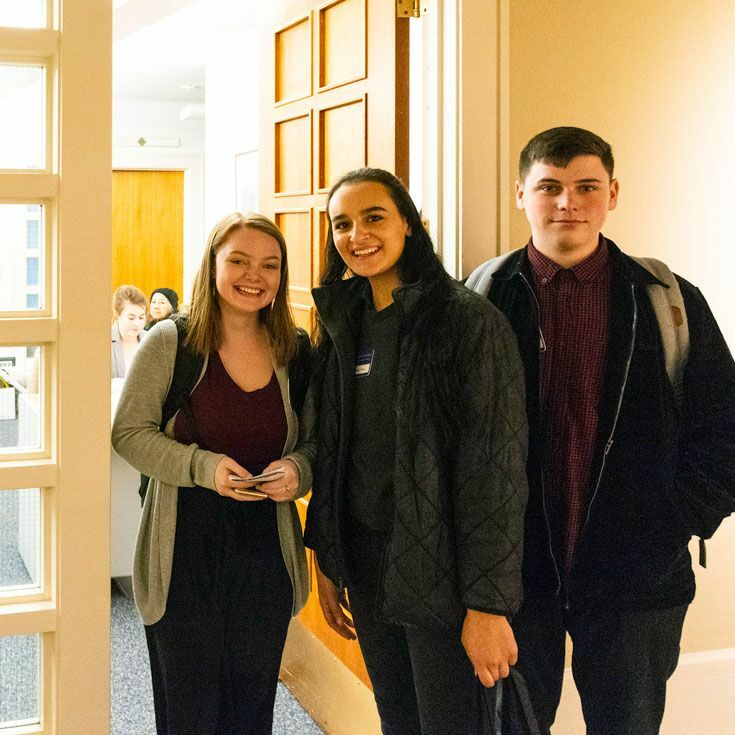 The students walked away from the experience with a deeper understanding of the legislative process, confidence in their ability to affect change by personally reaching out to lawmakers, and enthusiasm to get more involved in current events and issues of importance to them.